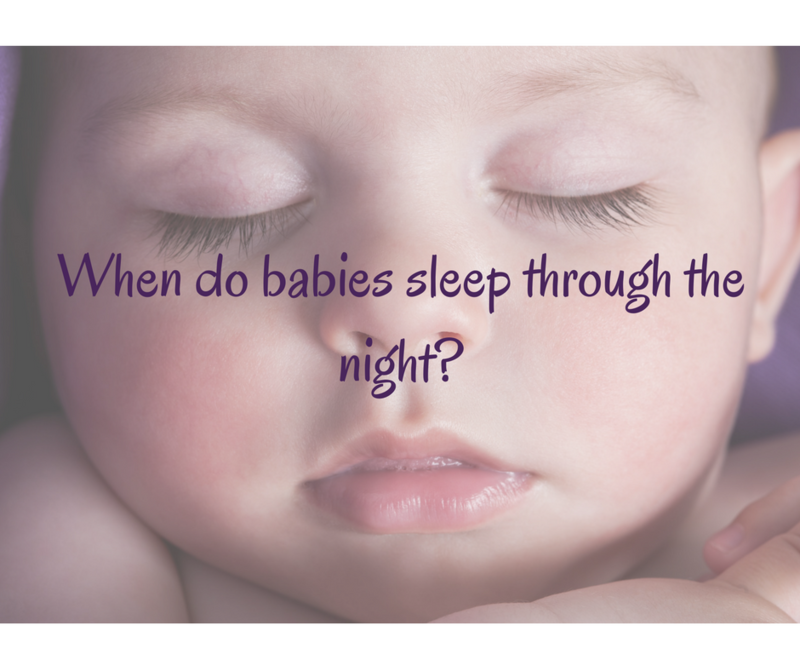 When a baby is waking up several times a night, every parent wants to know when do babies sleep through the night? If you have researched and googled this topic already, then you have most likely noticed that everyone says something different. So let’s clear this up. After all, I bet your dying to know when this exhaustion will end, and when your baby will start sleeping through the night. First, let’s define sleeping through the night. Babies don’t really “sleep through the night”. Most babies actually wake anywhere from 2-6 times a night. Some babies know how to put themselves right back to sleep, so the wakings go unnoticed. And some babies signal for mommy or daddy’s help to get back to sleep. These babies are usually the ones dependent on “sleep props” such as rocking or feeding to sleep and have not learned independent sleep. What we will be discussing in this article is when babies sleep through the night without the need for feedings. Medical professionals define sleeping through the night as the ability to sleep 5 hours without a feeding. Now I know some of you would be happy with a measly 5 hours, but most of you want to know when your baby will sleep ALL night, right? Say 10-12hrs? Most experts such as Jodi Mindell, The National Sleep Foundation, American Academy of Pediatrics, to name a few, say that a baby is capable of sleeping an 8-12 hour stretch between the ages of 3-6 months. As a baby sleep consultant with years of experience. I would have to agree. Some babies take a bit longer than 6 months, but usually only wake and need one feeding. For example, if your 7 month old baby is sleeping for a 10 hour stretch, then wakes for a feeding and goes right back to sleep, then this may be normal for his/her age. Chances are, that is the longest she can make it without needing a feed. As she gets older the stretch of sleep will extend, until she no longer needs it. To make sure that this doesn’t become a habitual waking, always remember to put your baby down awake after a feeding. It is very easy for a baby to start waking at a certain hour to be nursed back to sleep as a habit. Especially during the morning hours, when sleep is the lightest. So if your baby truly needs a feeding, always make sure she is put down awake when she’s done. How sleep props and bad sleep habits interfere. 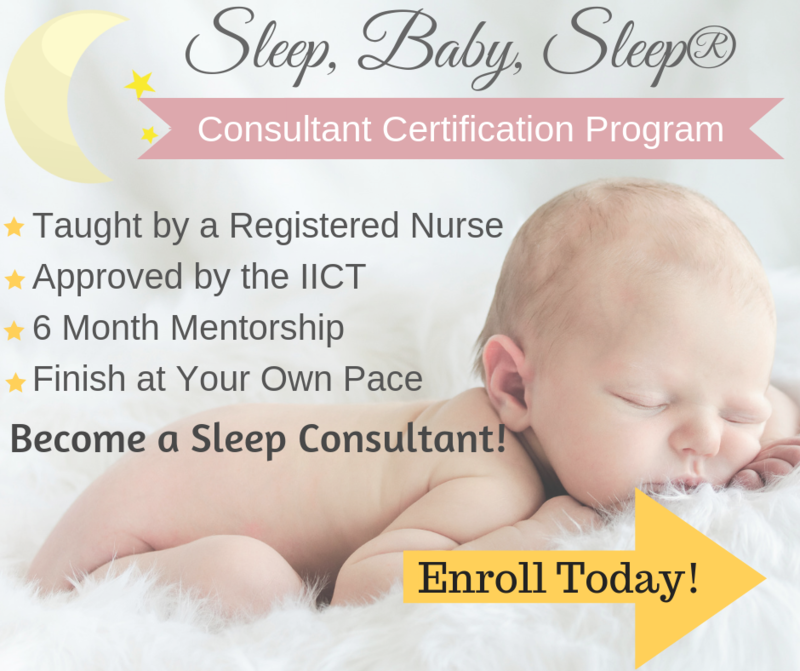 Just because most babies are capable of sleeping through the night at between 3-6 months of age, doesn’t mean they automatically do sleep through the night at this age. Many babies have bad sleep habits. They rely on sleep props or associations to fall asleep. They need mommy to rock, feed, bounce etc to sleep and this prevents baby from sleeping through the night, since baby expects that at each waking. As mentioned babies wake several times a night. 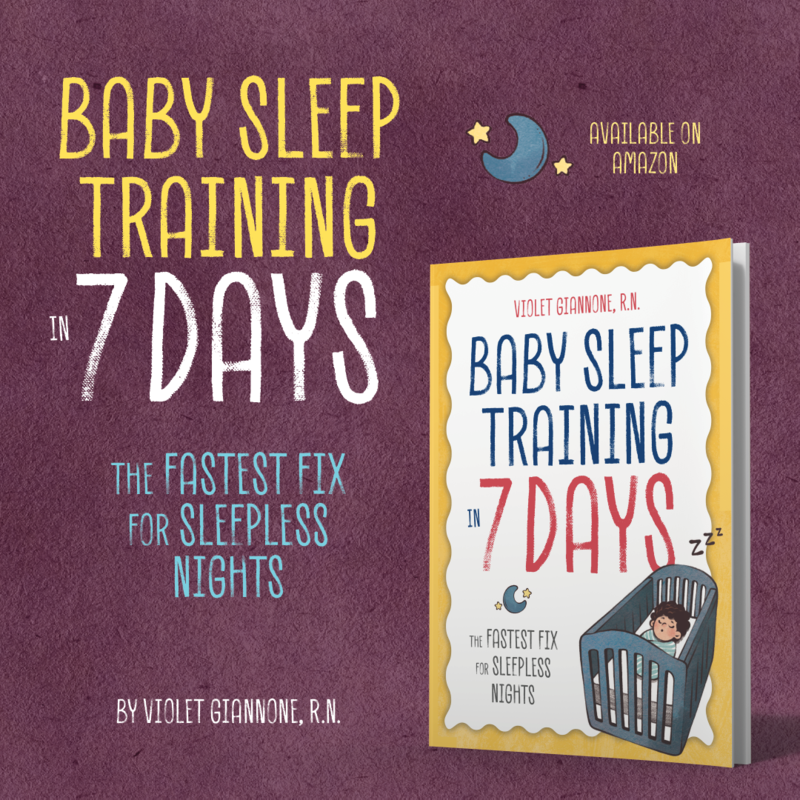 So if a baby does not know how to get themselves back to sleep on their own, they wake several times a night signaling for mommy, instead of falling back asleep independently without crying out. 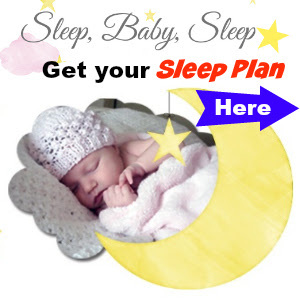 If these sleep troubles are not addressed, then your baby may continue waking several times a night. Parents like to think that their baby’s sleep troubles are just a phase and their baby will eventually outgrow this phase. A recent study shows that sleep troubles in infancy continue until 3 years of age. A similar study shows sleep troubles continue up to 5 years. Chances are your baby is not going to outgrow her sleep troubles anytime soon. So somewhere between the age of 3-6 months, a baby is capable of sleeping through the night. Even if your baby is a little bit older and still waking for that one feeding, that is perfectly normal. But waking several times a night at that age definitely needs to be investigated further. Because by waiting and hoping that things will improve on their own, you will see that things usually only get worse. 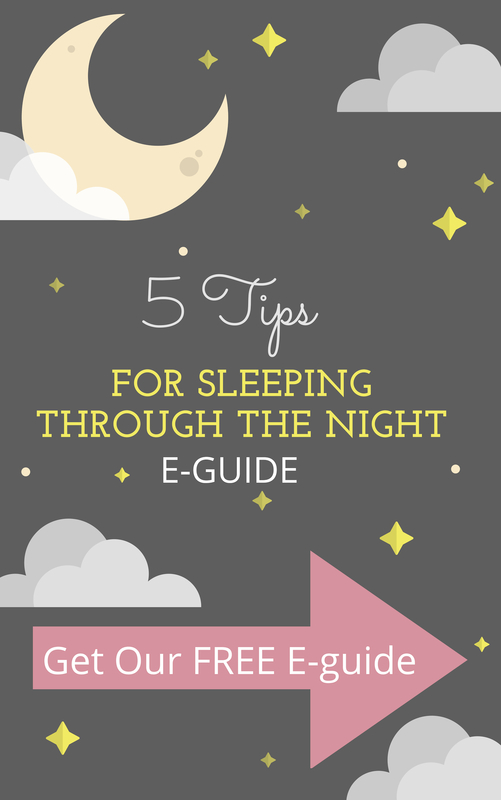 So stop googling when do babies sleep through the night, and start helping your baby sleep well today!